“How to Get a plot and Get the Best Out of Your Plot” – Signed by the author! From the author of one of the UK’s best selling gardening books, Vegetable Growing Month by Month, The Essential Allotment Guide is aimed at those with an allotment, looking for an allotment or growing on a larger plot and is complimentary to Vegetable Growing Month by Month. What do you get from an allotment? It’s a fascinating subject, but I’ve kept it to the point! It’s the big problem for many, so some tips to help you find and sneak up the waiting list. How Much Time Does an Allotment Take? Not just the bugs and so on, some advice on the two legged rats as well. Allotments provide a great opportunity for children, both learning and social. The other big one. You take on your plot and the weeds are hiding the trees! Allotments are not just vegetables, you can keep poultry or even bees on many sites. 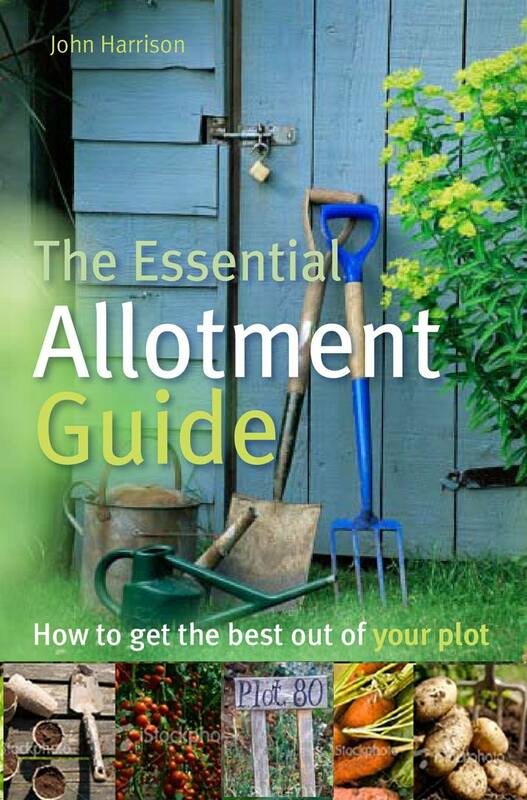 Another great little book from Mr Harrison, … The Essential Allotment Guide is written with the gardener in mind, with simple and concise information on subjects like how to get a plot, not always as easy as it sounds! Clear that jungle of a plot you have just leased and turn it into a productive oasis. I’ve been an allotment holder for years and wish I’d have had this to hand when I started out. So glad I’ve got it now, who says you can’t teach an old dog new tricks. In his work Mr Harrison’s love for gardening comes forth as does his enthusiasm for cost effective food growing. Not a coffee table book but a real book for reading and using. I love John’s writing style, it is friendly and chatty and easy to read. 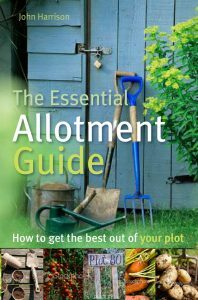 It has all the information you need to get you started on your allotment, from clearing it to getting it into delicious production. It has all the information that would take years to learn from chatting to your plot neighbours, so will get any new gardener off to a flying start. It can teach the experienced gardener a thing or two as well. Easy to read and informative. Great for the first time allotment holder and the experienced grower alike… but instead concentrates on the veg growing itself in a straight forward writing style. Really good value for money.